Board members present: Martin, Bill, Colin, Noel, Alan, Rob. Noel attended a Supporters Direct meeting last month at FC United of Manchester on the topic of fundraising. Information was provided in relation to lottery and heritage funding, and the Trust was invited to discuss with FC United the bar which is operated at Broadhurst Park. The Trust’s net funds available currently stand at £11,763.98 with no outstanding monies owed. The Trust has now received a share certificate for 20,686 shares in the club in return for the Trust’s contribution to the floodlights project. Memberships currently stand at 207. 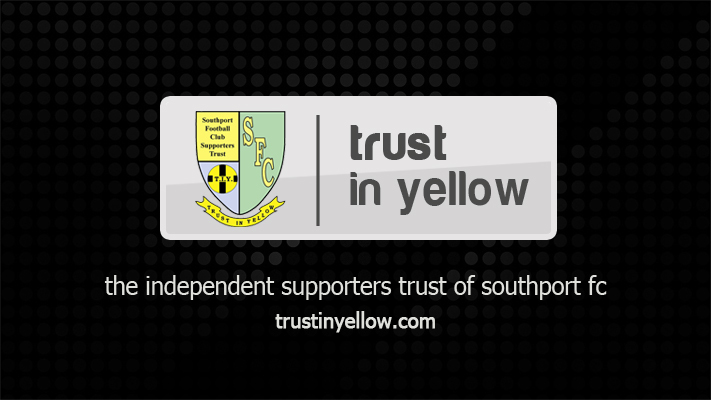 The Trust is unable to run a coach to the match at Torquay United as only 11 bookings were received. The coach to Altrincham on Easter Monday is almost full. The coach to the match at Boreham Wood on April 4 will be advertised at the reduced rate of £20 members and £25 non-members. Coach travel this season has made a profit of around £200, which will be used to run this coach for the cheaper fare. There was a discussion regarding the match updates service following recent issues in relation to the service. Although the Trust is pleased to have been associated with this service for a number of years and believes there have been many benefits to the Trust and supporters, the board appreciates that the match updates belong to the club, who also have overall responsibility for the service. Martin has been in contact with Haydn Preece at the club and will contact him again. The board agreed that the Trust will continue to have its name on the service until the end of the season, after which the situation will be reviewed again. Representatives from the Trust board met with Charlie Clapham, Sam Shrouder and Haydn Preece before the match against Halifax Town on March 5. The meeting focussed on potential future projects. The club will be looking to improve the disabled toilet facilities during the summer. The Trust is keen to support this, so long as it is part of a wider project to improve disabled facilities. 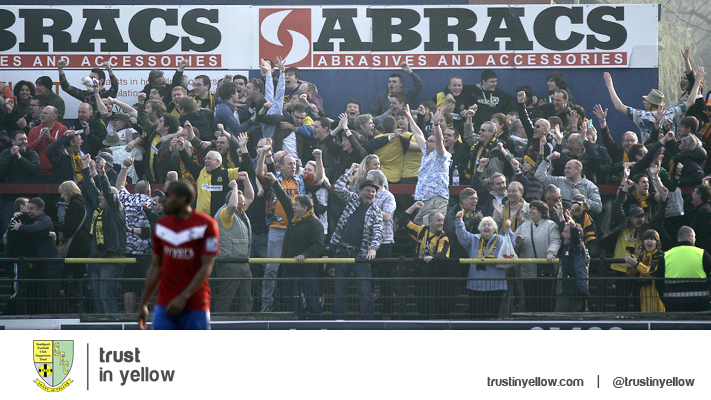 In particular, the Trust wants to improve the viewing facilities for disabled supporters. The club was receptive to this idea and Martin and Howard will meet with Haydn Preece in the coming weeks to explore this further. The proposed bar behind the Jack Carr Stand was also discussed but work on these plans is currently ongoing and the Trust would only want to formally present this to be considered once the plans are complete. The club may be looking to add cover on the Popular Side at some time in the future but these ideas are still at a formative stage. The Trust obviously supports the principal of this and looks forward to hearing more details of the scheme. Thanks to Alan, Noel, Howard and Bill for their work with the recent reunion to celebrate the 1965-66 FA Cup run. There were also a number of people who contributed from outside the Trust board, in particular Geoff Wilde and Colin Alty. The winning design in the ten-year badge competition was selected by supporters from a shortlist of four and a presentation was made to the winner, Harriet James-Hodges, before the recent match against Braintree Town. Thanks to Premier Bowl at Ocean Plaza for donating one of the prizes. The Trust has recently supported the Sign For Life campaign run by NHS Blood and Transplant. 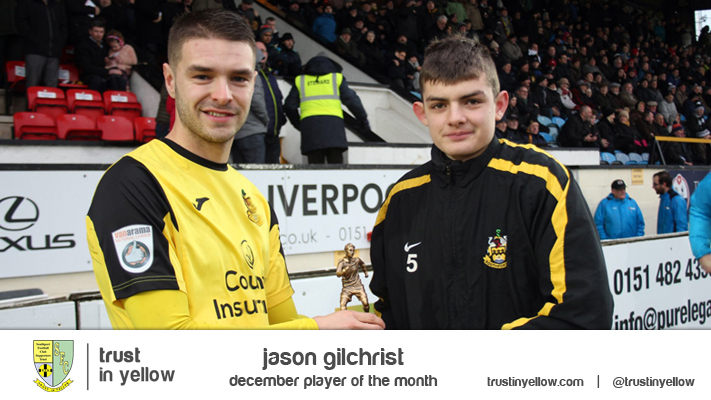 This initiative was backed by several football clubs throughout the country and Supporters Direct. The end of season presentation will take place after the final match of the season against Kidderminster Harriers. They Think It’s All A Question Of Sport and the Fifa night are now likely to take place next season as it has not been possible to schedule them before the end of the current season. The visit to the Parker Brewery is likely to take place during the summer and a cricket match against Churchtown CC will be held at the Rookery on June 26. The next match signs will continue in their current format until the end of the season. 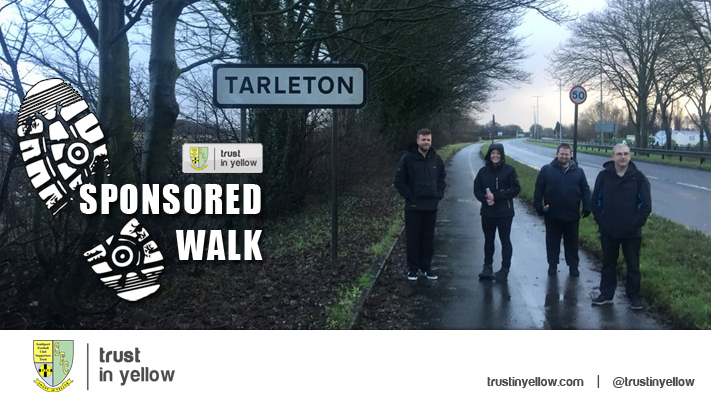 The viability of the signs will be reviewed in the summer and the Trust will look into a more cost-effective way of organising the signs. The Trust will also look to make more use of its notice board at Southport station. 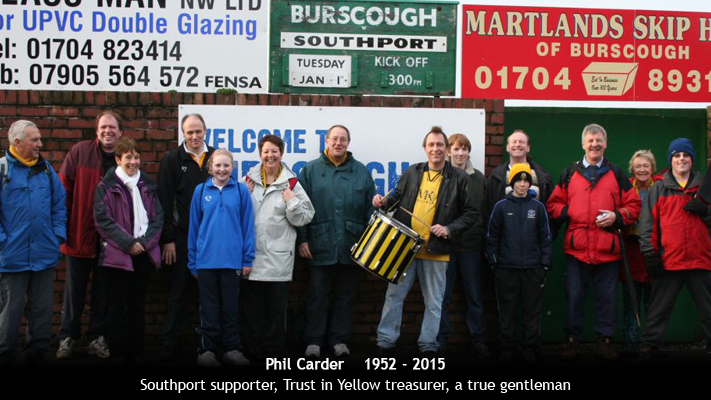 The plaque for Phil Carder has been delivered but unfortunately contains a typographical error and so has been returned. Our coach to the match at Boreham Wood on Saturday is definitely running. We’re subsidising the fare for this trip, meaning the price is only £20 for all members and £25 for non-members. The coach leaves the Merseyrail Community Stadium at 8.15am. Places are still available. To book, text Bill Sloan on 07952056385. 6. Programme of events and fundraising activities Brief review of events held this season and news of other events already planned. Our coach to the match at Boreham Wood next Saturday, April 9, is definitely running. Thanks to everyone who has booked on so far.